We supply all types of Gate Valves. Both Solid Wedge and Flexible Wedge designs conform to API-600. Pressure ratings are from 150# to 2500# in Cast Carbon Steel, Cast Alloy Steel, Stainless Steel of all grades, and Super Alloy Steel like Alloy-20, CD4MCu and Hastelloy. JV Gate Valves are equipped with smooth machined full bore and full opening wedge to ensure elimination of pressure drop across the valve. Long screwed-in seat rings ensure perfect tightness for a longer service life and are replaceable. Certain high temperature and high pressure valves have seat rings that are either integral with body, or seal welded as per recognized practice and procedure for maximum perfection and safety. JV Gate Valves are equipped with specifically machined and lapped backseats which facilitates replacement of gland packing when the valves are open and/or under pressure. Availability of solid wedge, flexible wedge, split wedge and parallel wedge designs offer maximum options to client selection. Gaskets and gland packing materials are perfectly suited to service a vast range of conditions such as temperature, corrosion, erosion, pressure and vacuum. 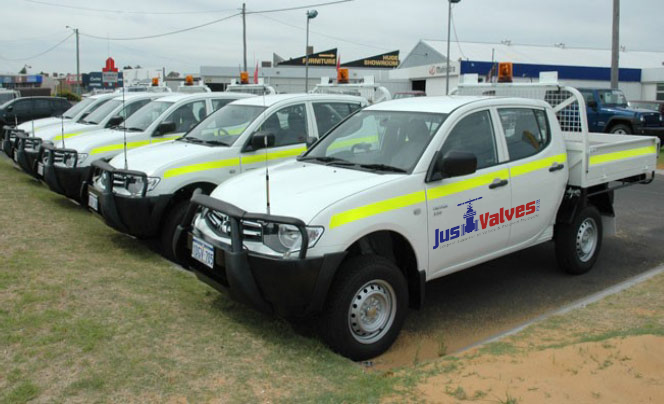 JV Gate Valves ensure smooth operation, tight shut-off, reliability, maximum safety and longer life. Gate valves are designed for fully open or fully closed service. They are installed in pipelines as isolating valves, and should not be used as control or regulating valves. Operation of a gate valve is performed doing an either clockwise to close (CTC) or clockwise to open (CTO) rotating motion of the stem. When operating the valve stem, the gate moves up- or downwards on the threaded part of the stem. Gate valves are often used when minimum pressure loss and a free bore is needed. When fully open, a typical gate valve has no obstruction in the flow path resulting in a very low-pressure loss, and this design makes it possible to use a pipe-cleaning pig. A gate valve is a multiturn valve meaning that the operation of the valve is done by means of a threaded stem. As the valve has to turn multiple times to go from open to closed position, the slow operation also prevents water hammer effects. 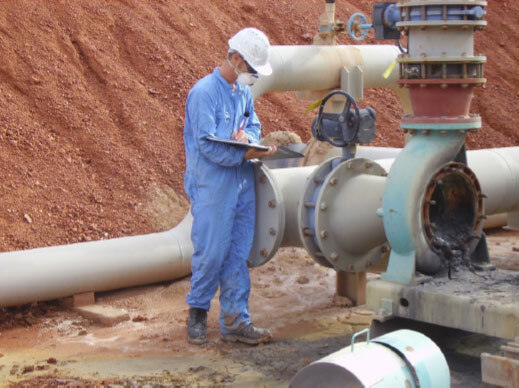 Gate valves can be used for a vast number of fluids. Gate valves can be divided into two main types: Parallel and wedge-shaped. The parallel gate valves use a flat gate between two parallel seats, and a popular type is the knife gate valve designed with a sharp edge on the bottom of the gate. The wedge-shaped gate valves use two inclined seats and a slightly mismatched inclined gate. Most gate valves are of the solid wedge-shaped design, but we also offer knife gate valves for wastewater treatment and parallel slide valves for gas supply. Before the resilient seated gate valve was introduced to the market, gate valves with a metal seated wedge were widely used. The conical wedge design and angular sealing devices of a metal seated wedge require a depression in the valve bottom to ensure a tight closure. Herewith, sand and pebbles are embedded in the bore. The pipe system will never be completely free from impurities regardless of how thoroughly the pipe is flushed upon installation or repair. Thus, any metal wedge will eventually lose its ability to be drop-tight. A resilient seated gate valve has a plain valve bottom allowing free passage for sand and pebbles in the valve. If impurities pass as the valve closes, the rubber surface will close around the impurities while the valve is closed. A high-quality rubber compound is soft enough to absorb impurities, yet strong enough to wash the impurities through when the valve is opened again. This means that the rubber surface will regain its original shape securing a drop-tight sealing. The vast majority of AVK’s gate valves are resilient seated, however metal seated gate valves are still requested in some markets, so they are still part of our range for water supply and wastewater treatment. Rising stems are fixed to the gate and they rise and lower together as the valve is operated, providing a visual indication of the valve position and making it possible to grease the stem. A nut rotates around the threaded stem and moves it. This type is only suitable for above-ground installation. Non-rising stems are threaded into the gate, and rotate with the wedge rising and lowering inside the valve. They take up less vertical space since the stem is kept within the valve body. Just Valves offer gate valves with a factory-mounted indicator on the upper end of the stem to indicate the valve position. Gate valves with non-rising stems are suitable for both aboveground and underground installations. The majority of Just Valves range are designed with non-rising stem, but we also offer gate valves with rising stem for water, wastewater and fire protection applications, it all comes down to what best suits the application..